Make your own speaker cables with this 12GA Bulk 2 Conductor Speaker Cable. 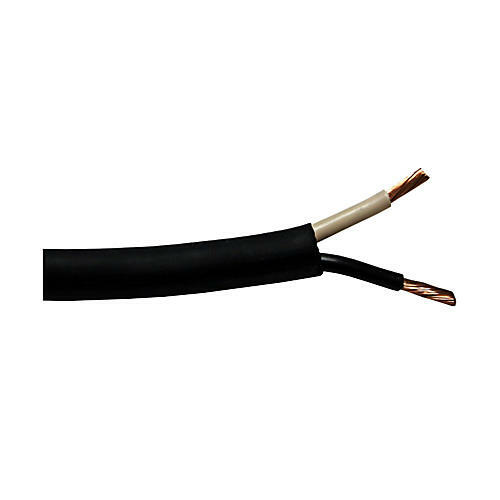 It's 12AWG stranded bare copper, PVC insulated, and comes in a black commercial round jacket. Price is per foot. Just select the number of feet needed in the quantity box and add to cart.